Cheryl Hickey, PA-C joined our practice in 2009 and will help us to serve the needs of our current and future patients. She grew up in Arlington, Texas and received her B.S. in Physician Assistant Studies from UT Southwestern Medical Center in Dallas. 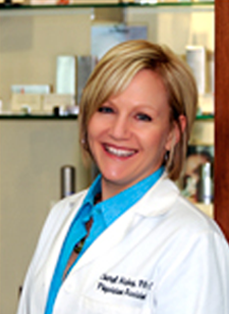 She worked in primary care initially but has spent the past ten years solely in dermatology. She enjoys cooking, tennis and being a mom to her two children.